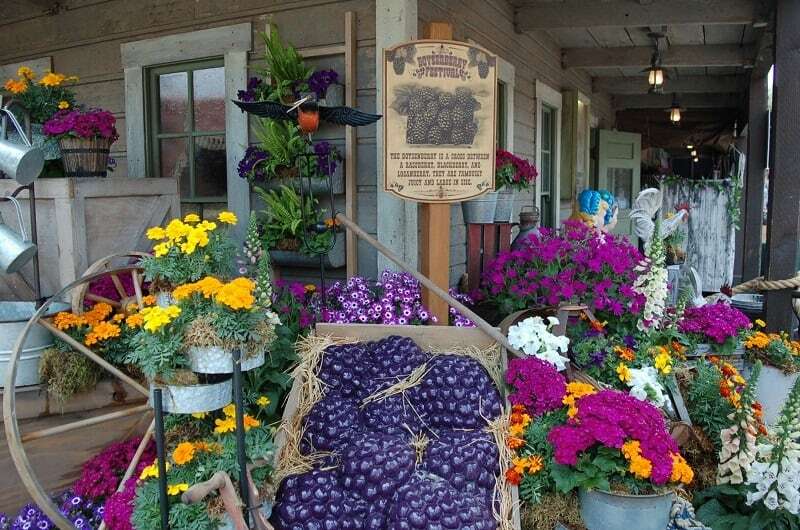 A Southern California berry is celebrated at Knott’s Berry Farm with a sweet annual festival. The boysenberry is one of a kind which makes juicy jam and pies, so it’s fitting to honor this prized fruit. What really is a boysenberry? The berry may look like a blackberry, but it’s a cross between a raspberry, a blackberry and a loganberry. Walter and Cordelia Knott grew berries and other produce in the rich soil of Buena Park, California and began selling them at a farm stand. Mrs. Knott made jams and jelly with the berries which brought people from far and wide when she served them in their tea room. Once friend Rudolph Boysen and Walter Knott developed the boysenberry, Cordelia began serving her famous chicken dinners. The dinner is the same today as when it started in 1934 which includes fried chicken, biscuits and boysenberry pie or boysenberry sherbet. Little by little an amusement park came about to entertain the hungry diners and is still a top attraction in Southern California. The theme park continues to be popular with families and for many good reasons. 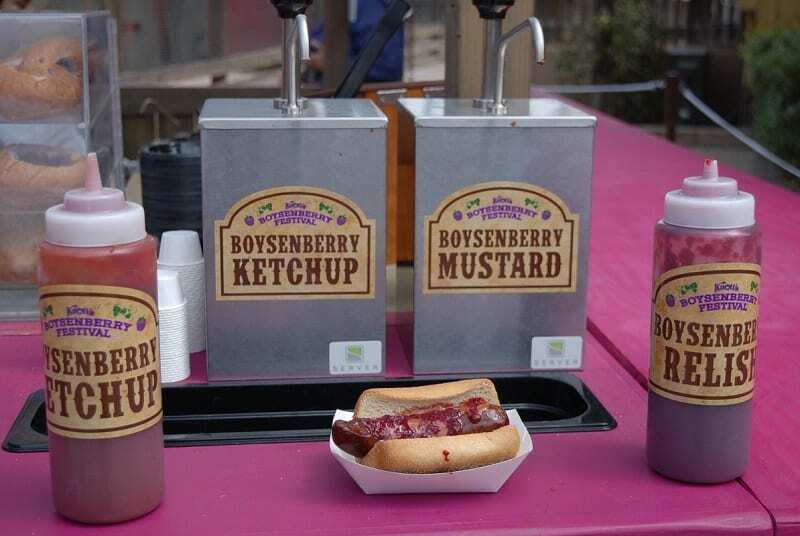 The fun boysenberry festival in April, enticed me to make a trip to Buena Park. Since freeway traffic can be its own “jam” I decided to sit back and relax on the train. 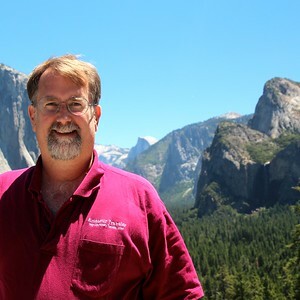 Once my train arrived at the Anaheim transportation center, I was impressed with the 120-foot-high arched steel frame designed with lots of natural light. I noticed how clean the station was and personnel were in the ticket booths ready to help with local transportation needs. I looked to the left and saw Angel Stadium of Anaheim (Major League Baseball) and to the right was the Honda Center where the Anaheim Ducks hockey team compete, and concerts are performed. 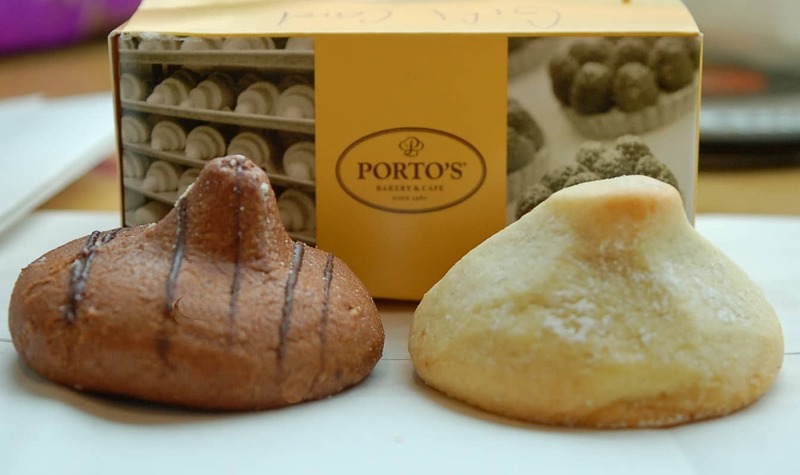 My friend who came along, told me we must go to Porto’s Bakery and Café which was 5 minutes away. We hopped into a rideshare car and arrived at the large bakery and couldn’t decide what to order. It takes a minute or two to look around at the bakery, café and coffee sections and choose from all the items. The eatery has Cuban influences by its owner, Rosa Porto, who left Cuba during the communism fall and began baking her cakes in Los Angeles. Her humble beginnings have grown to many locations in Southern California with her family assisting in the large business. I learned a popular food to order is the Potato Ball filled with cheese and red peppers, then rolled in panko crumbs and fried. A bite of the hot delight was a kick start to our day. We stuffed a Dulce de Leche cookie and chocolate hazelnut cookie into our backpack for the ride home and headed to Knott’s Berry Farm. Neither of us had been to Knott’s in quite a while but we recognized the entrance right away with its old west decor. We studied the map and quickly learned the park had expanded to four themed areas, Fiesta Village, Ghost Town, Boardwalk and Camp Snoopy. Peanuts characters mingle with guests and who doesn’t love Snoopy? I whipped out the Boysenberry festival tasting card and plotted our adventure. 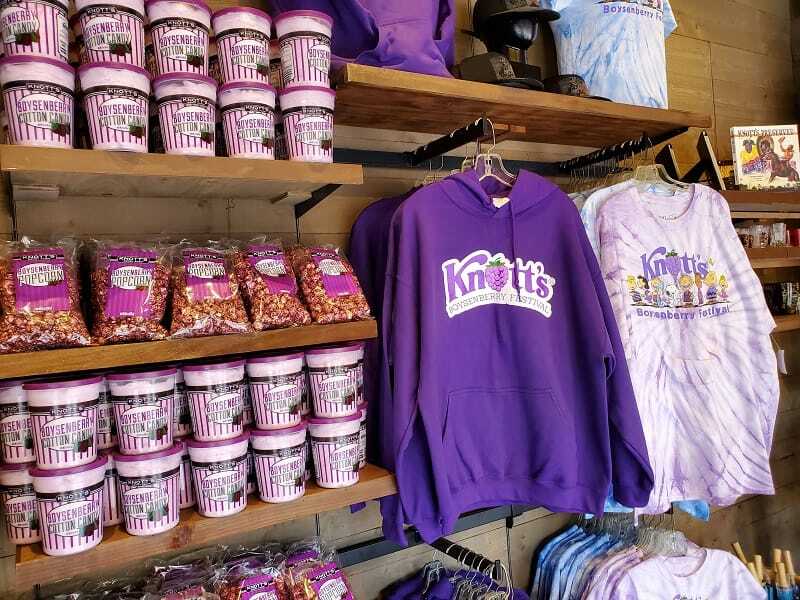 First sighting was the gift shop with Knott’s Boysenberry Festival sweatshirts, in a purple color of course. Boysenberry popcorn and cotton candy were packaged so one could take them home for later. We kept going with so much to consider for the day. Many families walked through the park with kids in strollers and their bigger siblings looking and listening to entertainment. Throughout the day, the Wild West Stunt Show, Calico Saloon Show, the Mystery Lodge and other shows were being performed. I watched families take a break on a convenient bench and eat a boysenberry hot dog and fruity ice cream then head off to another show. I decided to indulge in the boysenberry waffle with maple boysenberry cream cheese syrup. The deep crevices in the waffle allowed the syrup to soak in each little square. 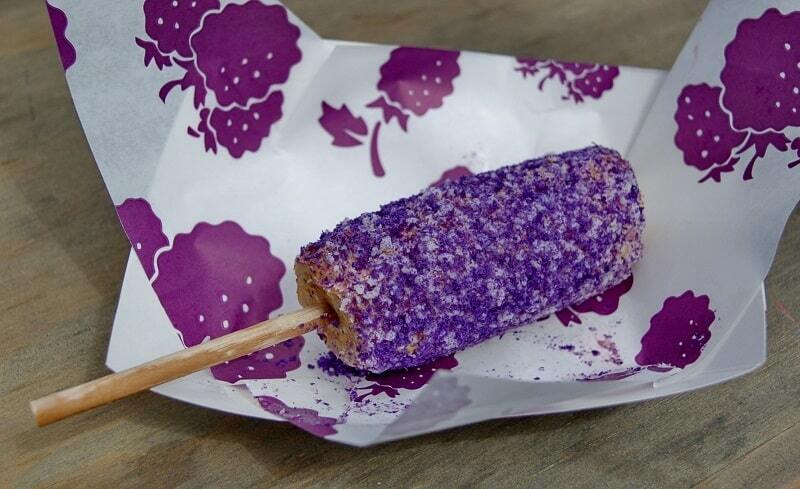 Next, loving corn on the cob, I splurged on an ear of corn and watched the booth employee paint on boysenberry sauce and sprinkle white cheese on top. This satisfied me for the time being. Ambling through the park, I heard lots of screaming but not in a scary way, more like an exhilarating way. I looked ahead and saw the HangTime roller coaster twisting and going upside down with riders holding their arms high to combat the stomach dropping. The ride is steep and plunges 96 degrees which gave me a tinge of fright watching them. Dedicated roller coaster riders loved it. We darted to Sutter’s Grill and grabbed a Boysenberry dry rubbed flank steak with Boysenberry cream cheese topping. The lively rub on the meat was complemented by the boysenberry topping. Something to keep in mind next time I make flank steak. By the time we ended our adventure, we figured we had done enough walking to burn off the calories from all the food. Back on the train going home, we dug out the cookies from the back pack and nodded off mumbling what a fun adventure we had. Maybe next time we’ll plan to stay at the Knott’s Hotel and dine at Mrs. Knott’s Chicken Dinner Restaurant. 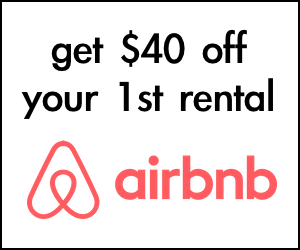 It’s a good enough reason to come back soon. Check the website for ticket prices, annual passes and information about all attractions at the park. Great Article. I have not been to Knotts Berry Farm in Years. I definitely want to go now and try all these yummy treats.